A new poll released this weekend in the Bangor Daily News shows that Democrats and Republicans are closing in on their choices for Governor this year. 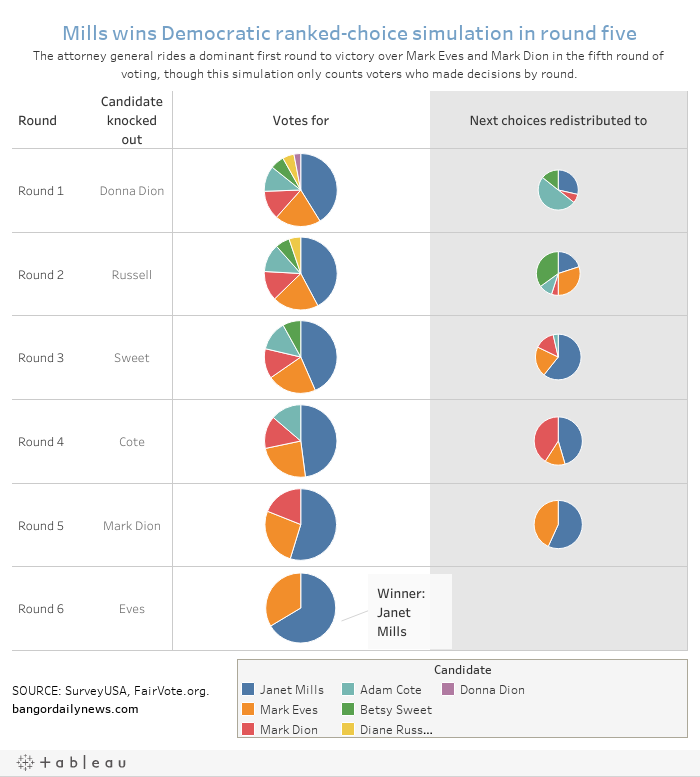 In June, Maine will be the first state in the country to use Ranked Choice Voting, also known as instant runoff voting, to choose nominees for statewide offices. Maine voters will also have the opportunity to vote in June to use the method for electing officials this November. The new poll sampled nearly 2200 likely Maine voters, and found that Attorney General Janet Mills and businessman Shawn Moody are the frontrunners in the Democratic and Republican primaries, respectively. The poll also showed the effect of the ranked choice method, and how candidates are selected based on the instant runoff counting procedure. Maine's primaries are on June 12.